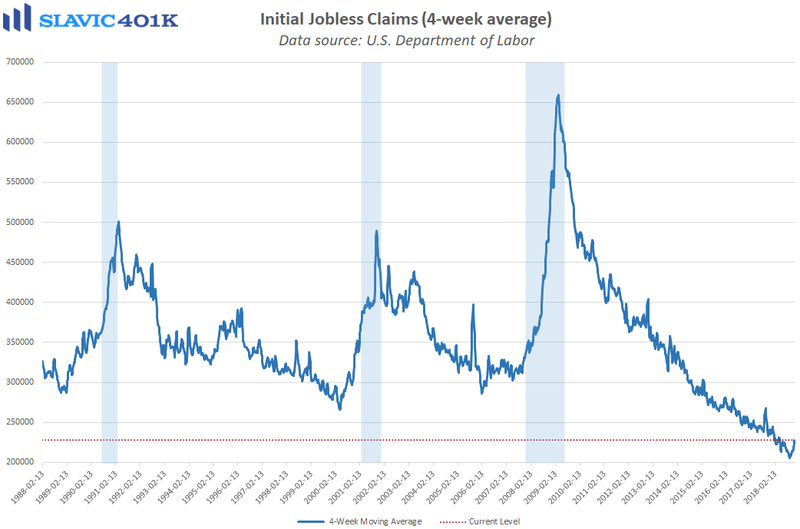 There were a few important reports on the U.S. labor market released this morning. 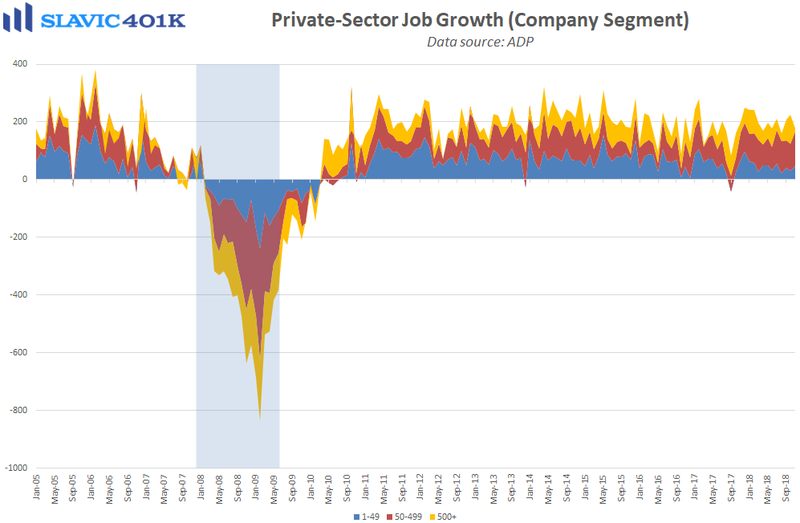 First, private sector payrolls rose by 179K in November, according to ADP. That was the smallest gain since August but still better than expected and the 3-month average climbed to 204K, an 8-month high. 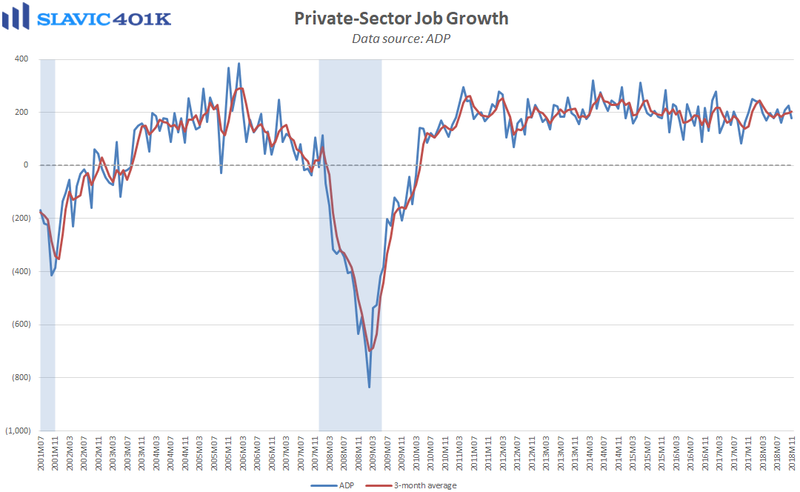 At first glance the headline slowdown in job creation might seem discouraging but for now it is more likely just a natural side-effect of a tight labor market where businesses want to add staff but have a challenge filling vacancies. Mark Zandi, chief economist of Moody’s Analytics, added that “Job growth is strong, but has likely peaked. 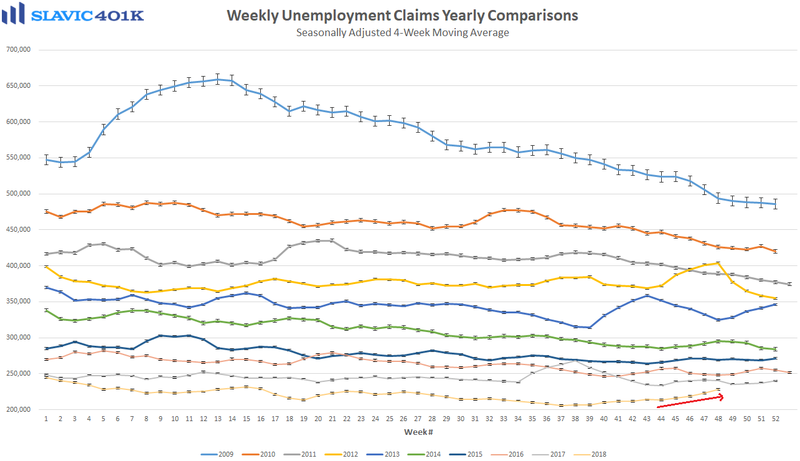 This month’s report is free of significant weather effects and suggests slowing underlying job creation. With very tight labor markets, and record unfilled positions, businesses will have an increasingly tough time adding to payrolls.” It is also worth noting that small- and medium-sized businesses accounted for 92.5 percent of all the private-sector payrolls added to the economy last month. That is the highest reading since April 2017 and suggests that these companies’ low exposure to foreign demand and tariffs, relative to large enterprises, has helped shelter them from the trade war.